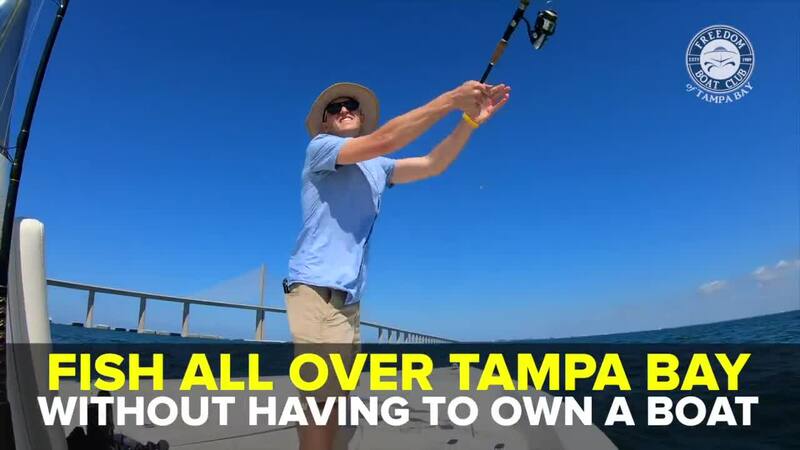 Known for its incredible view on the water, the Sunshine Skyway Bridge is a great spot for fishing in Tampa Bay. ST. PETERSBURG, Fla. — One of the best parts of living in Tampa Bay is our beautiful waterways and the fishing opportunities that come with it. Known for providing an incredible view while out on the water, the Sunshine Skyway area is also a great spot for fishing in Tampa Bay. The best part is that you can do it, too! We recently hit the waters with Freedom Boat Club of Tampa Bay to take in the sun and see what we could catch. It was less than an hour before we had our first bite on the hook. Check out what I caught— Sheepshead fish! Don't own a boat? No problem! Freedom Boat Club of Tampa Bay is the solution to your boating needs. Watch the video above! Click here for more information. Freedom Boat Club Tampa Bay is a paid sponsor of Taste and See Tampa Bay.